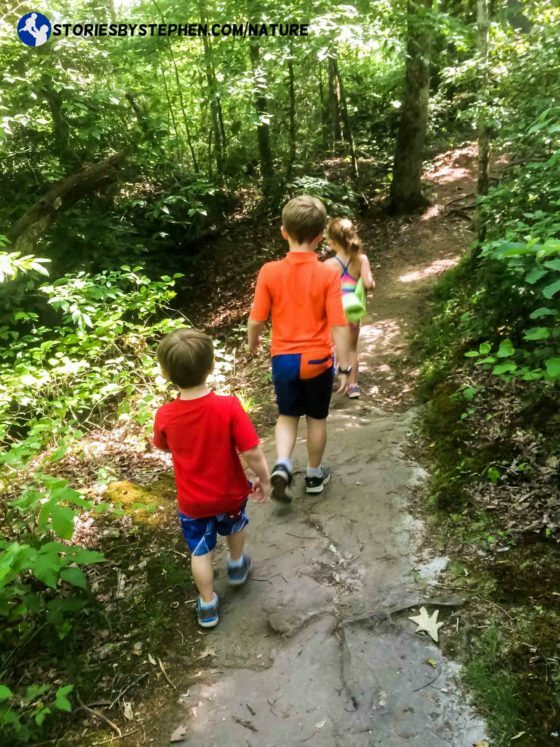 We kicked off summer 2016 the right way with a camping trip to South Cumberland State Park in Tennessee. 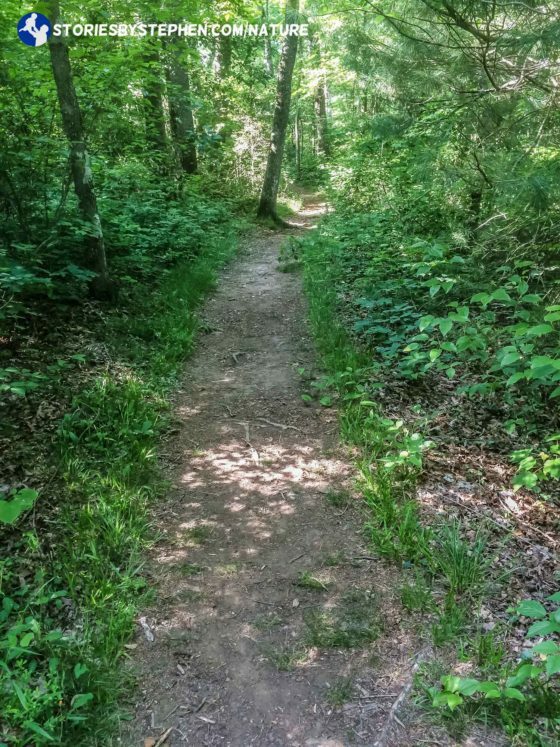 I went backpacking there with friends in college several times, but I had not been to South Cumberland in over 10 years. 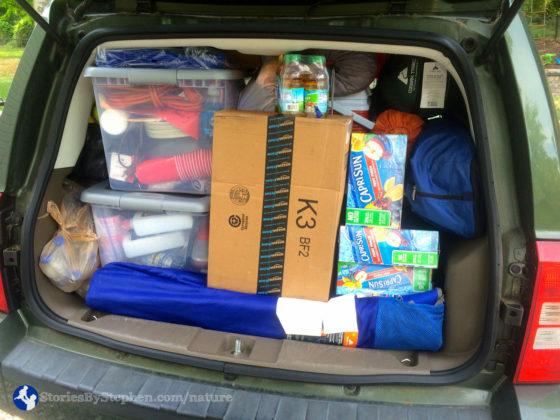 It was kind of a last minute trip, and I wanted to take the kids somewhere they had never been before. 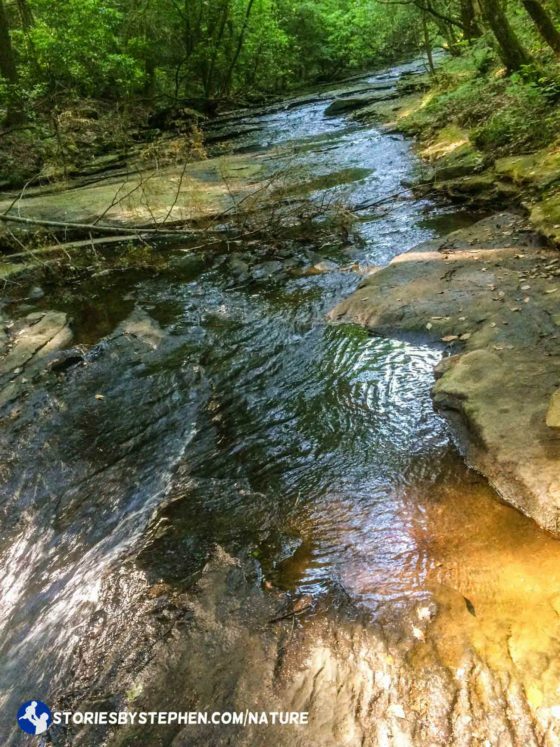 When I realized we only live 80 miles from South Cumberland State Park, I knew this was the place to go. 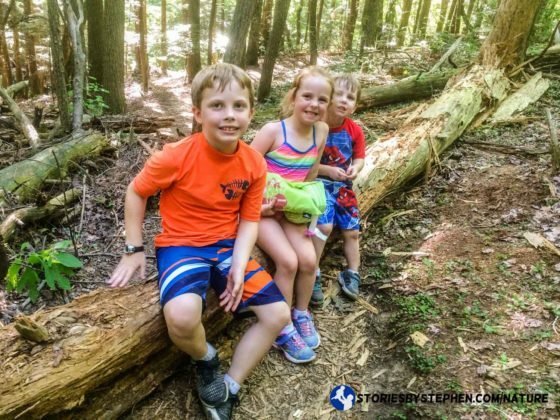 My kids are not old enough to backpack to Raven’s Point, a tough hike and an old favorite at the park, so I was not totally sure what to expect in terms of kid friendly hiking. 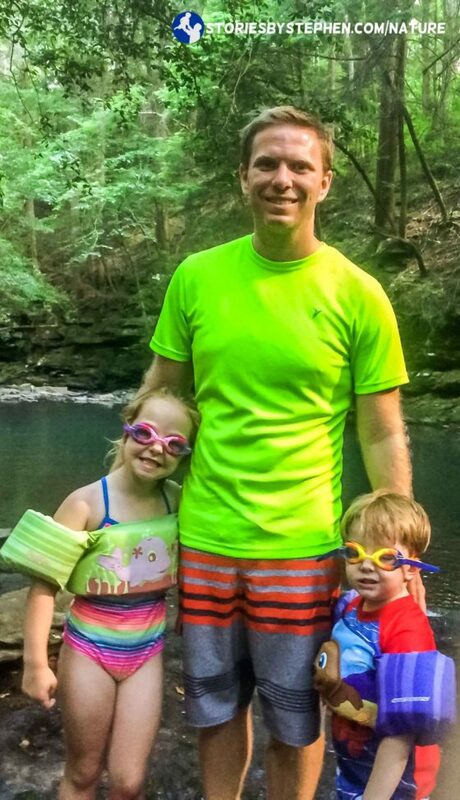 However, I did remember lots of waterfalls and swimming holes in the park, and, well, the kids and I really love waterfalls and swimming holes. 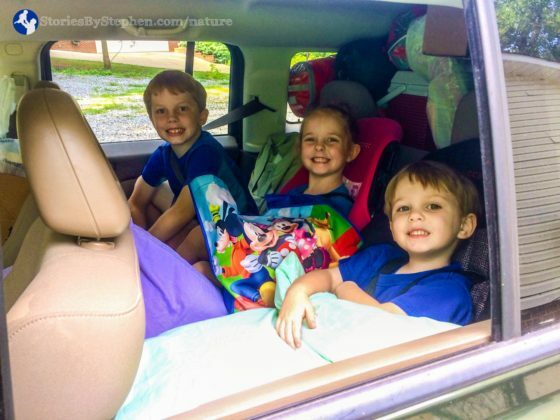 So I quickly threw together a 2-night camping trip and loaded my Jeep to the brim to take all 3 kids camping by myself. My Jeep would not hold much more. The kids were super excited and ready to hit the road. We arrived at South Cumberland around lunch time, and the campground was pretty empty after a long holiday weekend. 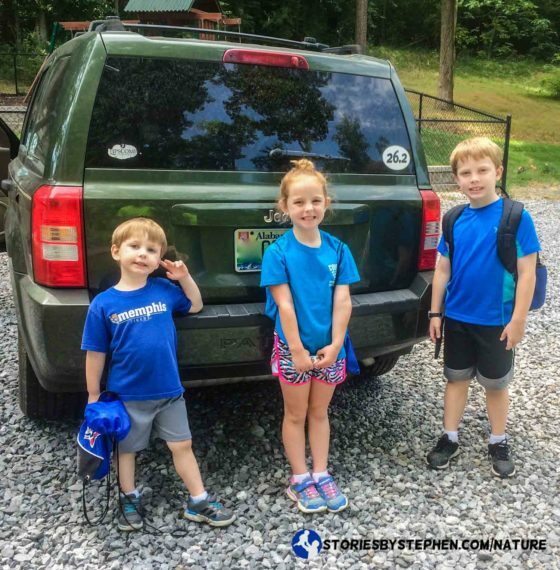 We stayed at the Foster Falls Campground, which is the only campground in South Cumberland that you can drive to. 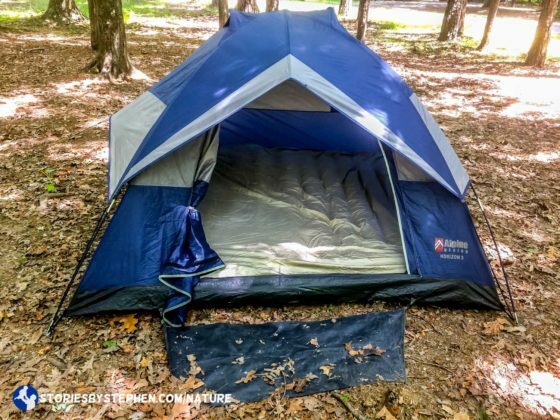 All other campgrounds require hiking. It is a primitive campground (no electricity or running water at our site), but there is at least a decent bath house. 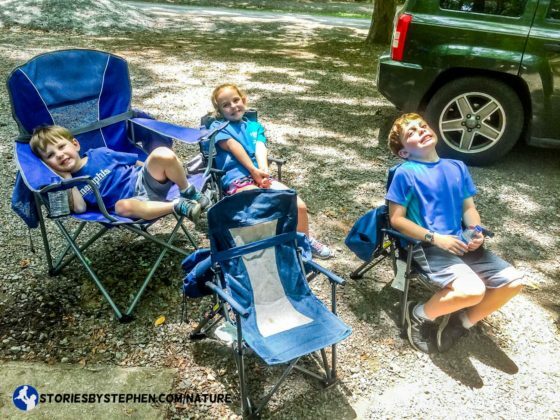 The kids and I have developed a routine when we 1st arrive at a campground. We go to every nearby vacant campsite and take all the leftover firewood we can find. We quickly gathered enough quality wood for 3 days of campfires! The kids relaxed a bit after working hard carrying many armfuls of firewood. Got the tent setup with 2 new air mattresses I found on clearance for $9 each. I even scotchgarded the tent this trip, hoping to waterproof it in case of any rain. After gathering firewood, setting up camp and eating lunch, we drove to a trail to hike and search for swimming holes. 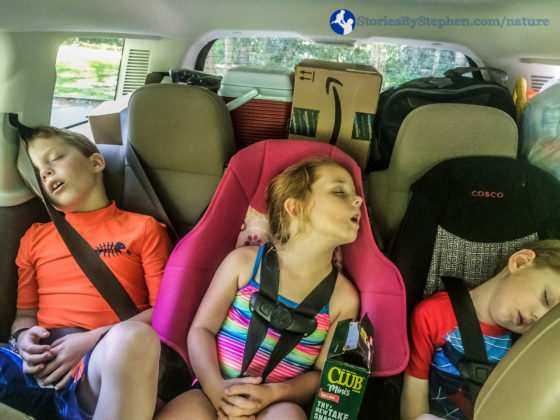 The kids were so worn out from setting up camp that they all passed out in the car. After the kids took a nap in the car, we found our trail head. 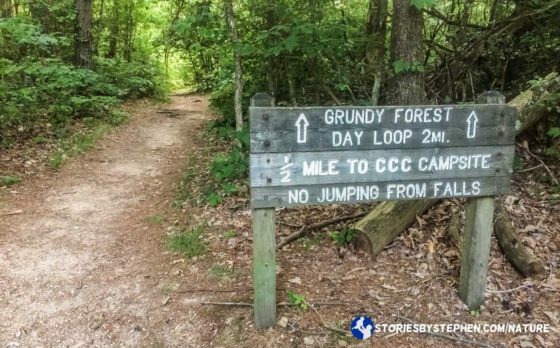 The 2-mile Grundy Forest Day Loop was supposed to have numerous waterfalls and some decent places to swim. 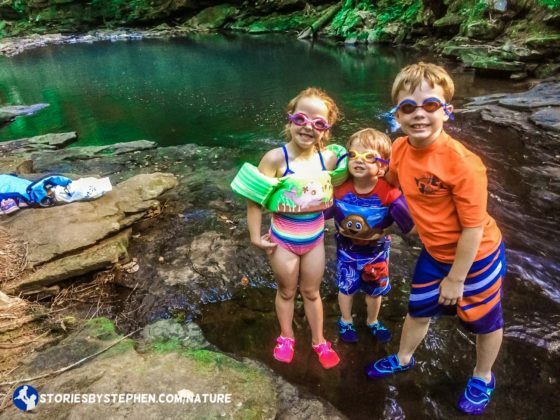 The kids hiked in their swimsuits, and the search for a swimming hole begins. 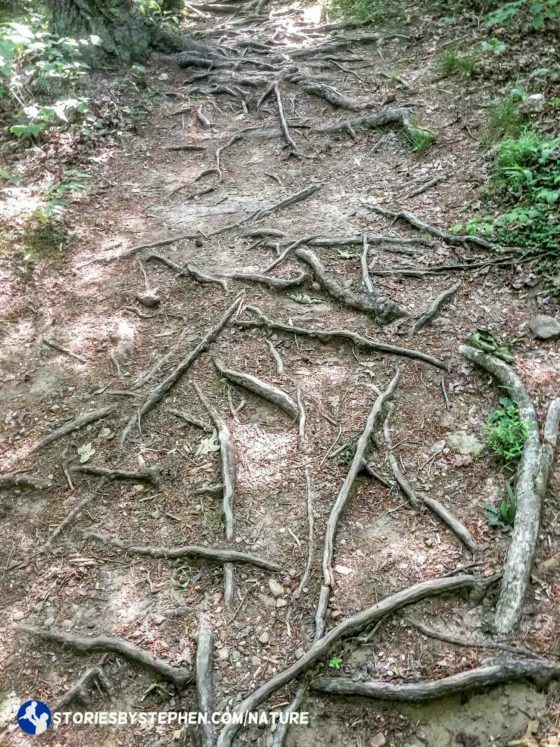 I have come to really appreciate roots like this on trails. While they sometimes trip me up, I just find them fascinating. Perfect spot for a water break. 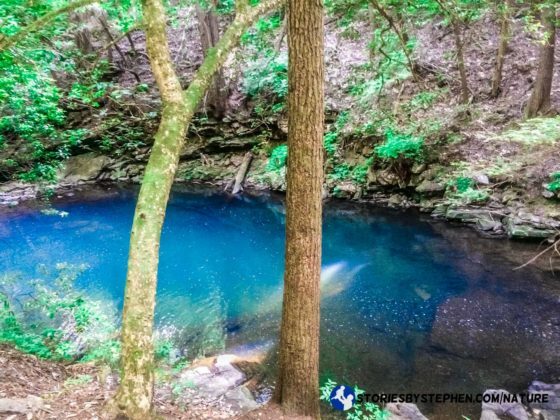 After about a mile we found a beautiful swimming hole on the Grundy Forest Day Loop. Unfortunately, despite blazing hot temperatures outside, this swimming hole sat beneath permanent shade. It was freezing! We were going to brave the cold water anyway, but as I waded in to waist level, I spotted a nearby swimming partner… a snake. 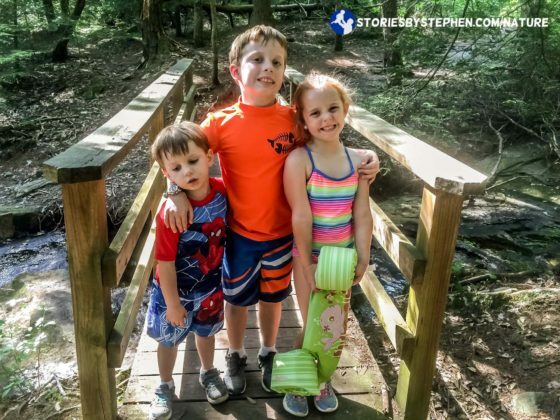 After we saw the snake, we all agreed not to go any further into this swimming hole. We tried to go back in a few times, but none of us were brave enough to risk encountering the snake. 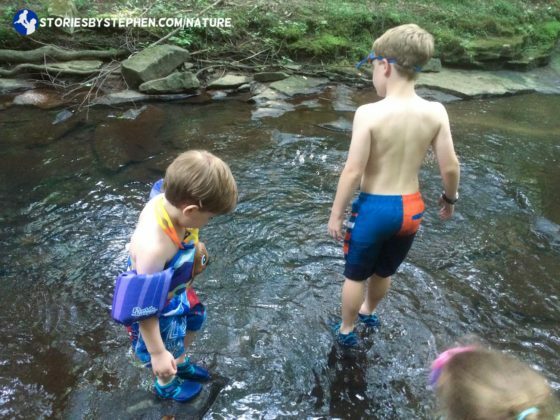 All ready to swim… until we see a snake! After we saw the snake in the swimming hole, were were pretty bummed that swimming did not work out. We were already in swimsuits and water shoes, so instead we decided to hike through the creek instead. 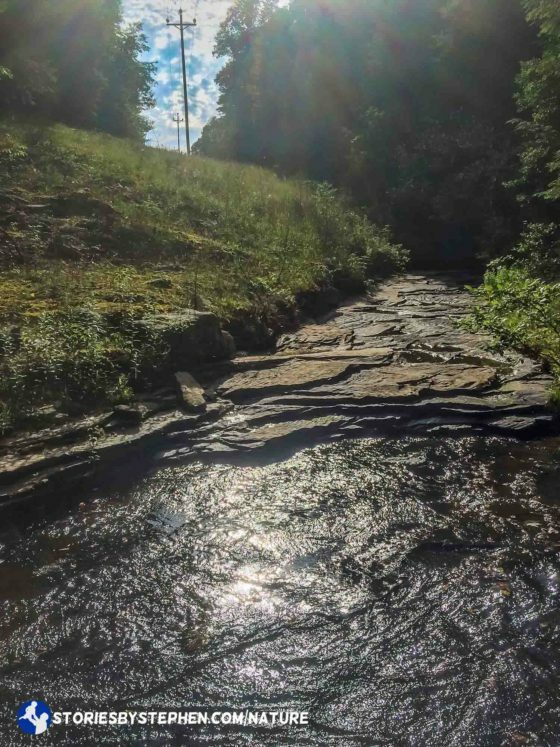 Click here to go to the next page and follow the rest of our camping trip after hiking through the creek in the Grundy Forest.